Loyal DrivingLine readers may recognize this car from my Cars & Coffee Irvine posts - one Saturday it showed up out of the blue and stopped a few of us longtime enthusiasts right in our tracks, which says a lot - considering what we're used to seeing out there. Mugen quite simply, is the pinnacle when it comes to JDM performance parts for those of us tuning cars in the mid to late 90's...WAAAAAY before Fast and Furious. 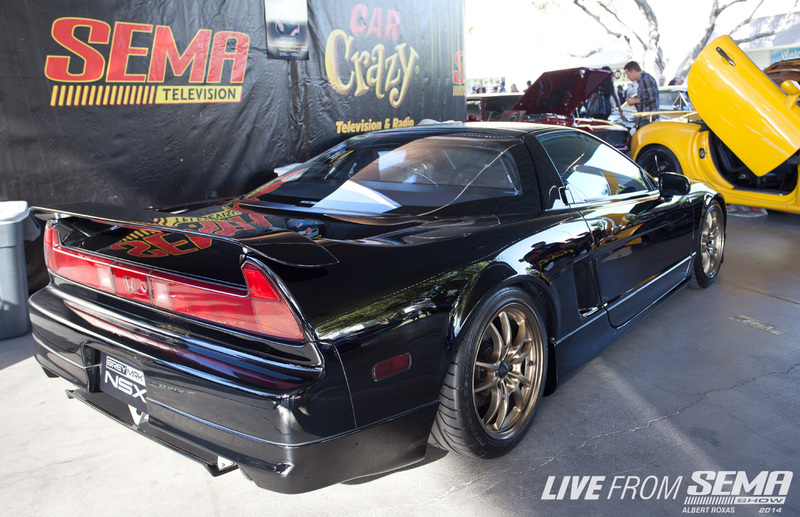 The parts have become increasingly rare, particularly for low production vehicles such as the Acura NSX. I had heard from a good friend that it was making it's way to SEMA and whadda ya know...I found it at the Meguiars Car Crazy stage walk outside Central Hall. Every JDM car enthusiast of my generation has dreamed of owning a car like this - period correct with full TRUE Mugen parts. Signature front bumper with turn signal covers and Mugen emblem placed front and center. 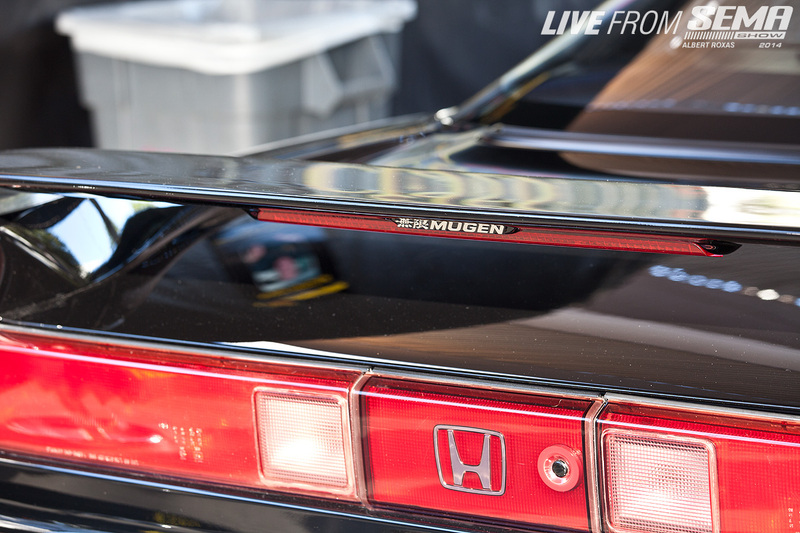 Ultra-Rare Mugen rear spoiler and diffuser - I had never seen these parts in real life until the first spot at Cars & Coffee Irvine this spring. 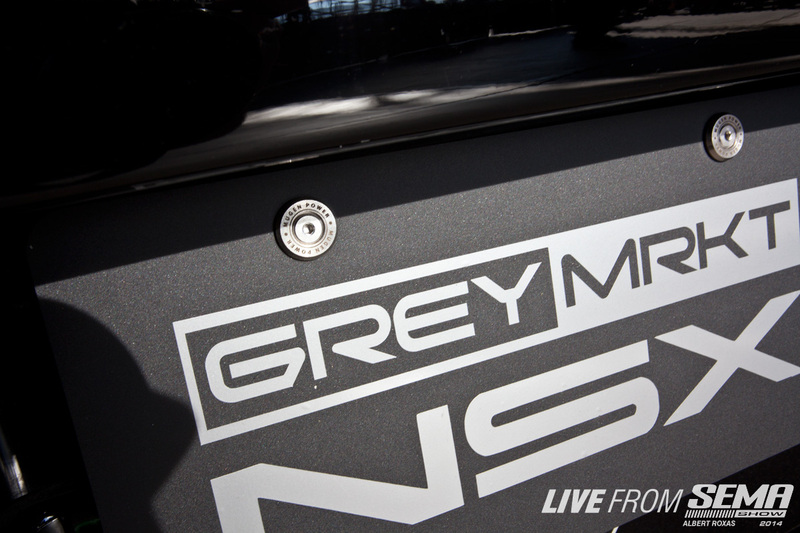 Emblem on the rear spoiler - another trademark piece. I had a '91 Acura Integra GS-R with 1 Mugen part LOL, it was the rear spoiler. The pedestal style lift raises up the OEM center wing location a few inches, which extends over the outer edges. No details were missed on this car, down to the Mugen locking license plate bolts. Grey Market NSX refers to the owners company I believe, as well as a reference to the difficulty in obtaining these parts for the car, which in this case took over 10 years. 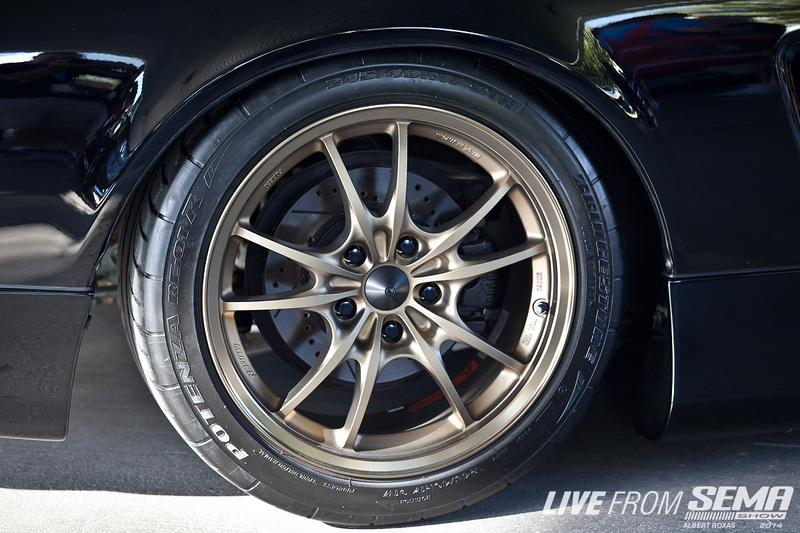 I've heard there are actually 3 sets of wheels for this car, this go-around the owner went with bronze Mugen MF10's. Perfect match for the jet black paint. Quite the side profile, welcome back to 1991. Mugen sideskirts - because of course this car is FULL MUGEN. 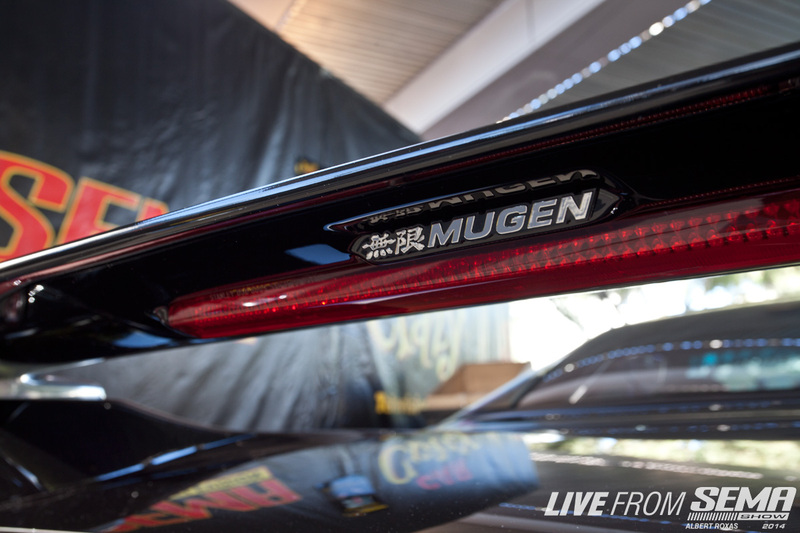 NOTE: the California license plate is actually "MUGENCEO". 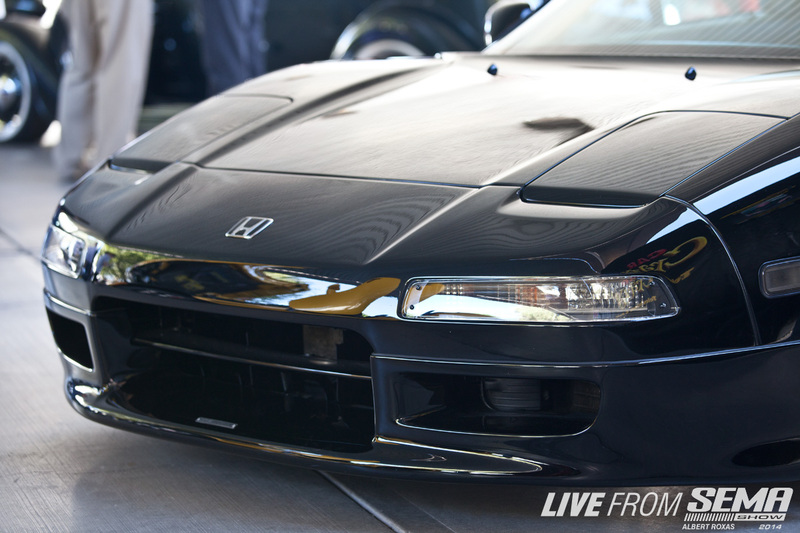 One last parting shot for SEMA 2014. 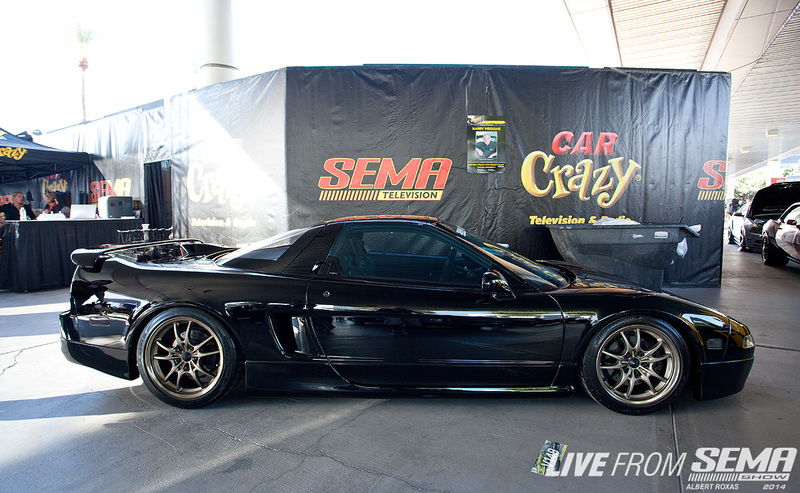 This was the car that most JDM fanboys my age dreamed of in high school.. here in the flesh.